When we first begin to sew, we spend all of efforts looking for the best sewing machine for us that’s in our budget. It’s a good thing to do. But a sewing machine is just the first step in getting good results. Equally important is our ability to press our sewing well. While that starts with a good sewing iron, that’s only the beginning, too. 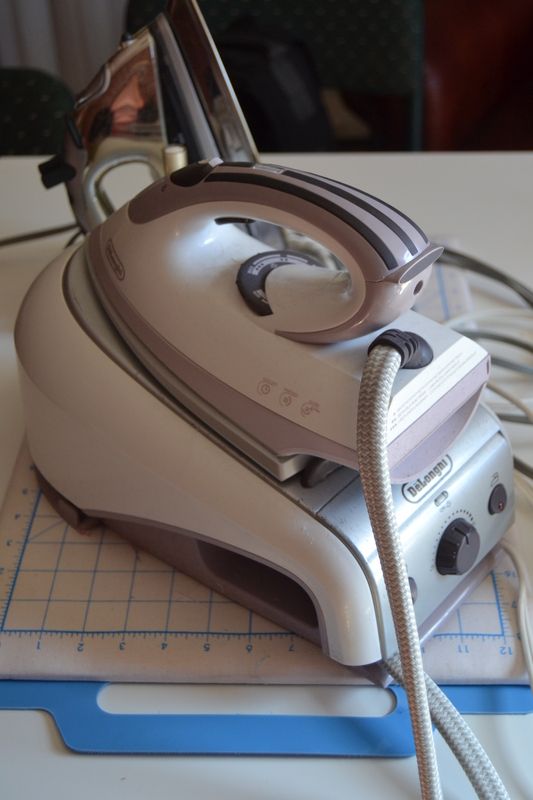 Any iron that produces lots and lots of steam, holds its temperature consistently and accurately, and heats up quickly if it has an auto-shutoff feature is a good iron for sewing. I have two irons, one in my sewing room and one in the laundry. I originally bought the one that’s in the laundry room for sewing, but it has a really short idle time before it shuts itself off. I found myself standing around a lot waiting for it to heat up. It’s fine for ironing the wash. I’m either only ironing one thing or I’m ironing continuously enough it stays on. An iron that makes you wait too much offers too much incentive to skip the pressing part, and that’s not good. While I would prefer an iron that stays on until I turn it off, companies are reluctant, or maybe even prohibited from making them that way anymore. I was able to find an iron with an external water tank. It keeps the water hot until I turn it off, but the iron shuts off by itself. That makes for a very quick reheat. So if your iron turns off too quickly and doesn’t recover fast enough, can’t be trusted to be at the temperature you set it at, or sputters and spits water at you instead of steam, drop it a few times so you can buy yourself a new one. But if it meets the criteria, you have a “good sewing iron”. There are a lot of good reasons to use a press cloth. Some fabrics get a “shine” when a hot iron hits them. It looks ugly. Some fabrics can’t handle even the lowest setting on your iron. You might accidentally hit the plastic teeth of your zipper. 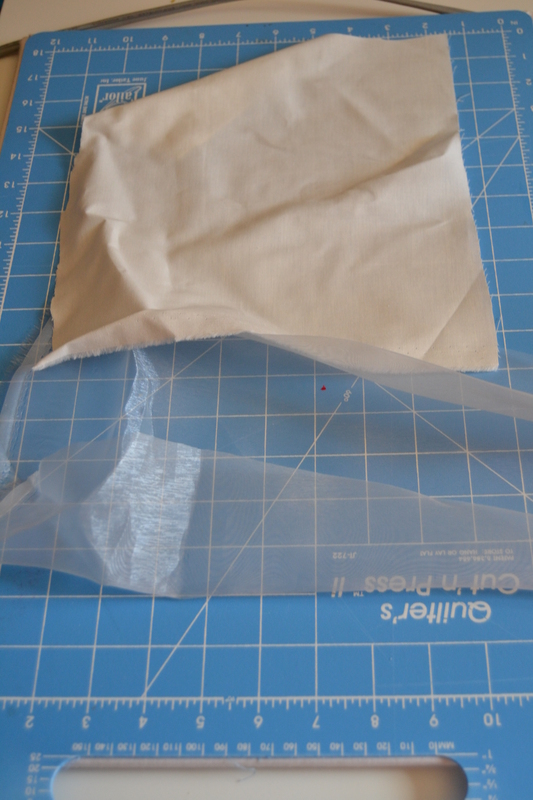 You might make a mistake about which is the fusible side of the interfacing. If you have a press cloth, it will fuse to it instead of the bottom of your iron. A press cloth can be cut from any white or unbleached fabric that can withstand high heat. Cotton and silk organza are frequent choices. Silk organza is a good choice because it’s sheer, and you can see what you’re ironing through it. Don’t make the mistake of substituting polyester organza for the silk. The polyester variety needs a press cloth. Raise your hand if you’ve used your scissors to turn a point and poked a hole in your sewing. Raise both hands if you’ve done it more than once. 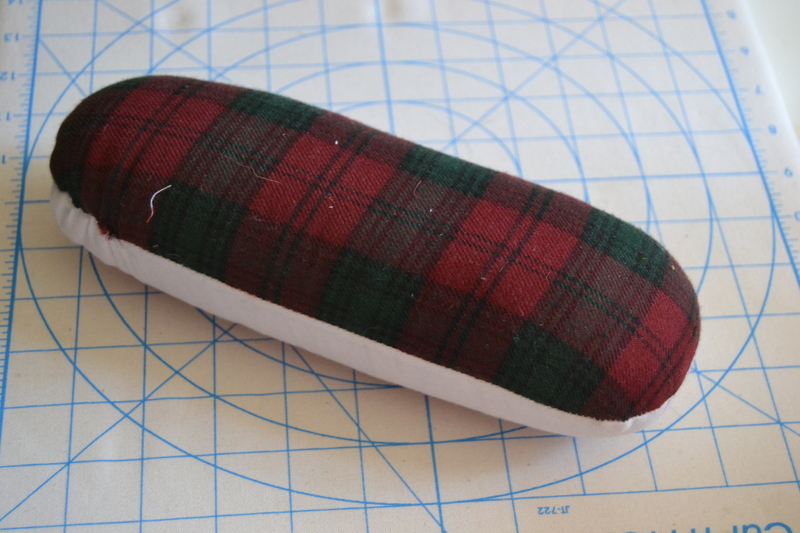 There’s an inexpensive tool you can buy that it is pointy enough to give you a nice, clean turn, but isn’t sharp enough to put holes in your sewing. My favorite one is made from bamboo, but Ellie stole it and hid it somewhere. The one I’m using now is plastic. It’s fine. I just like the feel of the bamboo one better. Maybe she’ll steal the plastic one while I’m watching, and I can see if she tries to hide it in the same place. It’s called a “ham” because of its shape. 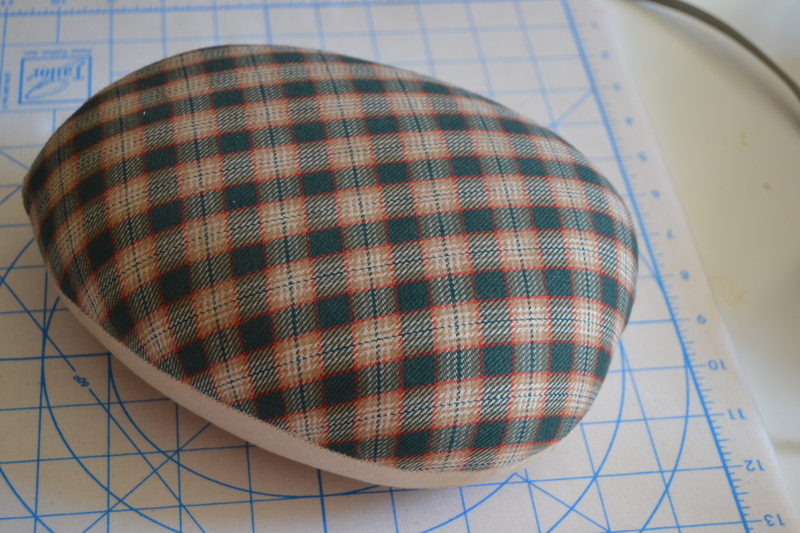 It usually has one side covered in unbleached muslin and the other side in wool. The commercially available ones are filled with sawdust to make them really firm. You can find tutorials for making your own. Some of them tell you to stuff the ham with polyfil. If you do that, stuff it until you can’t get another smidgen of polyfil in it because you want the ham to have a hard surface. You use a ham to press parts of your garment that don’t lay flat. A princess seam, the sleeve cap, the roll of your collar. Because of its shape, there’s someplace on the ham where its curve matches the curve of your seam. You choose the side of the ham to use to based on what temperature you have the iron set. While a good ham can be a little pricey, it’s a one time investment. My ham is 40 years old. 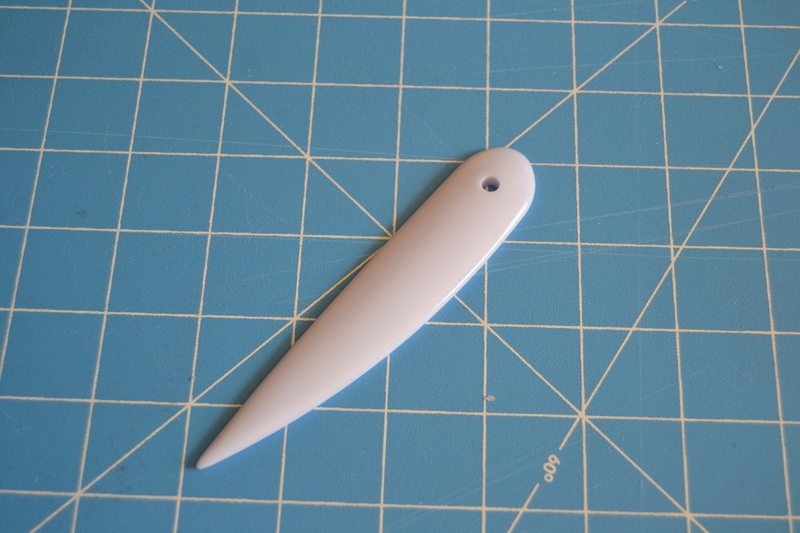 You will be surprised what a difference this tool makes in your sewing. There are times when you press a seam open, and you don’t want the pressed seam to touch the outside of the garment because it will leave marks. Then you use a seam roll. It’s constructed like the tailor’s ham, but it’s shaped like a hot dog. 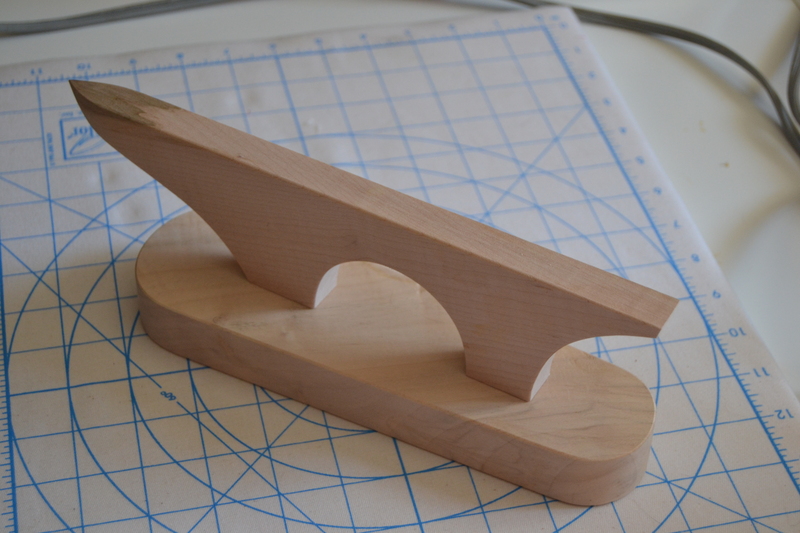 A point presser and a clapper are often built in one piece. The point presser part is used to press the seams open in pointed pieces like collars, lapels, and pointed sashes. The clapper part is to press the seams open in difficult fabrics like heavy denims and wool coatings. You use your iron to give them a heavy dose of steam, and then you pound them open with the clapper side of the tool. You can buy them separately, but the combination usually costs a lot less than buying each one individually. A sleeve board looks like a miniature ironing board. 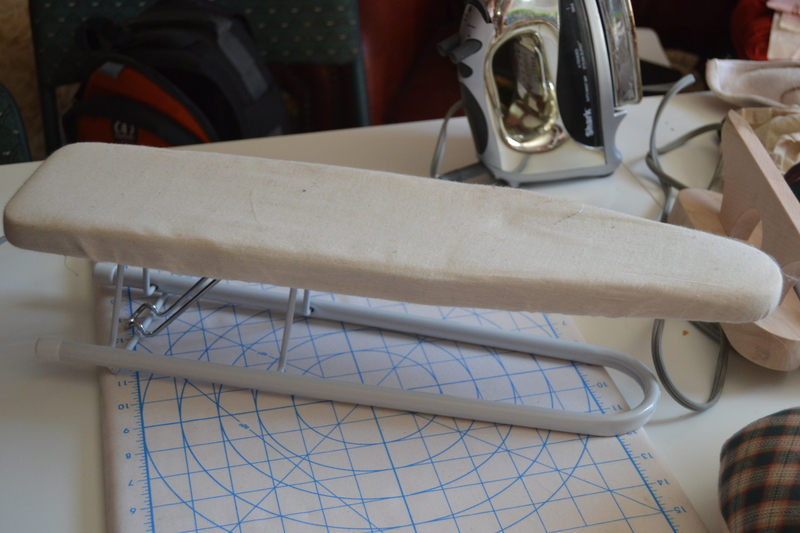 You use it to press sleeves, pant legs, and anything else that won’t fit over the end of an ironing board. It keeps you from pressing creases in where you don’t want them. It’s also great for keeping a little one occupied “ironing” along with you. I’ve listed the most popular pressing tools in the order I would buy them if I had none of them. The press cloth and point turner are small items and don’t require much investment. You can sew and make nice things without the other things, but as you add each one, you’ll see the look and quality of your garments improve. An easy way to take it up a notch. That’s really interesting reading, and while I have most of the tools I can see that increasing my stock will help. One thing I think I do is iron rather than press, which affects the size of my quilted blocks. So, do you have a blog on how to press rather than iron. Am I just looking for a heavier iron with tons of steam and a later shut off point, or am I missing something? I haven’t done the lesson on pressing vs. ironing yet, but it’s on my list. I’ve found over the years if I have an iron that generates lots of steam and a clapper, my iron doesn’t have to be that heavy. When you have a fabric that needs weight to press it, you saturate the fabric with steam and then pound it down with the clapper. There’s no need to tire yourself with a heavy iron when most of the time you don’t need it. I will demonstrate how all of these tools are used in future posts. While I think the tailor’s ham made the biggest difference in the polished finish of my sewing, the clapper is a must for heavy wools and denims.